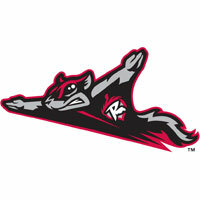 An already overtaxed Richmond bullpen was able to cover eight innings of relief to snap the Flying Squirrels six game losing streak with a 6-1 win on Friday night against the Mets. Squirrels starter Joe Biagini was pulled in the second inning due to some back discomfort but was picked up by scoreless relief outings in succession from Jose Casilla, Kyle Crick, Brauilio Lara, Phil McCormick and Derek Law. Myles Schroder and Austin Slater powered the Richmond 12-hit attack with three hits apiece to snap the six game slide. Richmond (54-51) ambushed Binghamton starter Seth Lugo for four runs in the first inning. Rando Moreno and Austin Slater connected on consecutive singles and Lugo loaded the bases with a walk to Hunter Cole. The Squirrels grabbed a 1-0 lead when Ricky Oropesa worked a walk to score Moreno from third. Mitch Delfino followed with a two run base hit and Jackson Williams made it a 4-0 affair with a base hit to right centerfield. Casilla was removed for Kyle Crick to start the fifth. Crick allowed a hit and a walk while striking out the side in a scoreless frame. Barulio Lara followed with two flawless innings and Phil McCormick and Derek Law each kept Binghamton off the board to close out the game. Richmond took a 5-1 lead with three more hits in the second inning. Hunter Cole knocked in Moreno with a base hit to left field off Lugo. The B-Mets starter lasted five and two thirds innings in the loss. Lugo (6-5) departed with runners on in the sixth inning. Austin Slater quickly connected on his third hit of the day off reliever Adam Kolarek for a 6-1 advantage. The Squirrels continue the homestand on Saturday at The Diamond against the Binghamton Mets. Richmond RHP Tyler Beede (2-4, 4.95) will start for the Squirrels against B-Mets RHP Gabriel Ynoa (7-3, 3.75). First pitch is set for 6:05 PMwith the Flying Squirrels Pregame Warmup starting at 5:35 PM on Fox Sports 910 and FoxSportsRichmond.com.